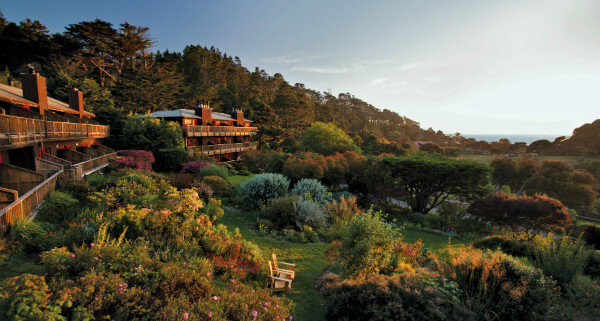 Jeff and Joan Stanford had few resources to their name and a baby on the way when they purchased an ocean-side inn in Mendocino back in 1980. The only way they were able to pull it off was with a loan to cover a good portion of the downpayment, lent to them by the previous owner. But they followed their hearts and went for it. 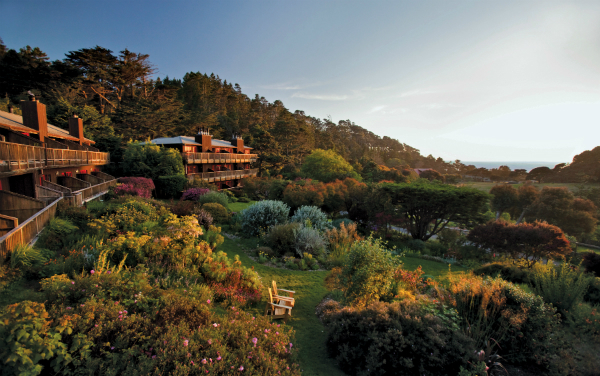 Fast forward 30 years, and they’ve transformed the property into the Stanford Inn by the Sea — a renowned Four Diamond Inn dedicated to sustainable living. Along the way they added a gourmet farm-to-table restaurant and grew their gardens into a full-fledged organic certified farm that provides fresh produce to the restaurant as well as nearby establishments. 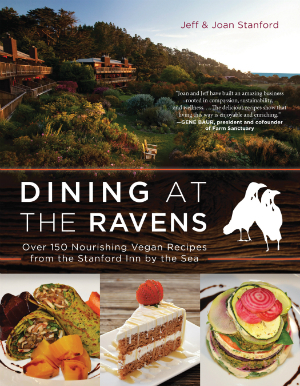 Their restaurant, called The Ravens, is a 100% plant-based eatery that contends with the finest dining establishments in Northern California. 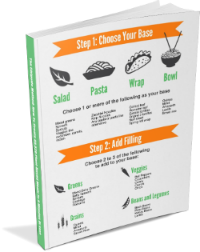 Jeff and Joan have a new recipe book out that gives you a glimpse into the delectable tried and true dishes served daily at the Stanford Inn. And while some books hit the shelves with the recipes untested, these dishes have had to earn their spot on The Ravens menu, served to hundreds of guests and refined to perfection. I sat down to talk with this super fun and sweet couple about this project to which they’ve dedicated most of their lives, how their vision has changed over the years and what inspires them to keep at it after all these years. Joan and Jeff and their publisher Ben Bella have been gracious enough to provide a copy of Dining At The Ravens to our community, and you can enter to win! We’ll choose a winner by random drawing on Thursday March 17th, 2016. UPDATE: We have a winner, congrats Kathy M! Leave a comment below letting us know the following: Have you ever put yourself out there and followed a crazy dream? 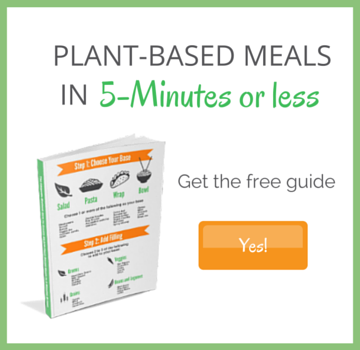 Have a dream you haven’t yet pursued? Tell us about it!